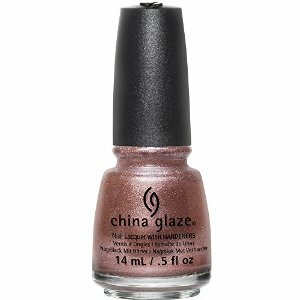 China Glaze Nail Polish, Meet Me In The Mirage, 1388, .50 fl. oz. Metallic rose gold shimmer nail color with a foil finish.